Michael Pruett co-founded DYNALABS with a vision to help improve patient outcomes. As co-CEO, Pruett has helped the company surpass its business goals through innovative process development and the use of leading-edge technology. Today DYNALABS is one of the fastest growing analytical testing labs in the Midwest. Pruett leads the legal, regulatory, and administrative functions of the company. He also manages investor relations and capital acquisitions. Prior to co-founding DYNALABS, Pruett worked as an independent management consultant, where he specialized in helping clients uncover new approaches to maximizing performance. He has held management positions in small start-up companies and large corporations, including Sigma-Aldrich, a chemical, life science, and biotechnology company now owned by Merck KGaA. 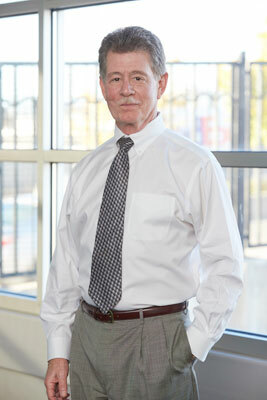 Pruett began his career in healthcare working in both retail and hospital pharmacy settings. He holds four patents, one of which is for a pharmaceutical delivery device marketed worldwide. Pruett has been a guest speaker at a number of leading St. Louis institutions: St. Louis College of Pharmacy, The University of Missouri at St. Louis, St. Louis University, the Danforth Plant Science Center, and St. Patrick Center, which provides opportunities for people who are homeless or at risk of becoming homeless. He received his BS in Pharmacy from St. Louis College of Pharmacy and his MBA from Webster University in St. Louis.